CFES offers research partners access to world-class research facilities and laboratories in support of energy research. CFES operates two core laboratories: the Distributed Energy Resources System Integration Lab (DERSIL) and the Energy Materials and Devices Lab (EMDL). Industry partners can access these labs through joint research or by signing a facility use agreement. DERSIL is a testbed for distributed energy resource hardware, control, and grid-integration technologies. 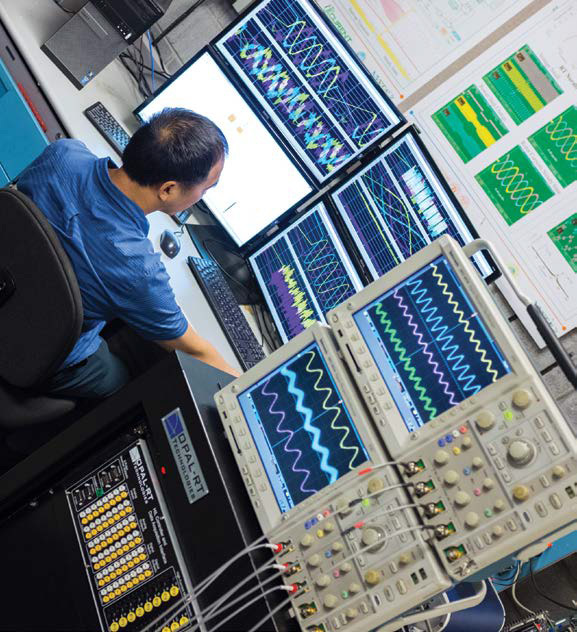 The lab supports prototyping, testing, and characterizing power electronic circuits and systems for wind, solar, energy storage, microgrid, and power system applications. DERSIL includes a programmable grid simulator, a wind turbine emulator, 20 solar panels each equipped with a microinverter, and programmable electronic loads. 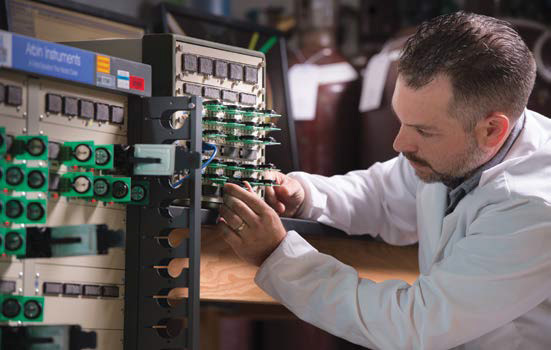 The lab can be configured to operate as a microgrid in stand-alone or grid-connected mode. The lab houses also two real-time simulators each capable of simulating a complex power system in real time. Actual wind and solar inverter control hardware can be coupled with the simulator to perform control hardware-in-the-loop simulation. EMDL is equipped with a suite of tools for fabricating, processing, characterizing, and testing a variety of materials and device structures for new energy applications. The lab is equipped for solar photovoltaic testing, battery charge/discharge stations, wet chemical processing, and thin-film deposition. EMDL also offers spectrophotometric analysis, from infrared to ultraviolet, gas sorption equipment for hydrogen storage studies, dynamic light scattering analysis for nanoparticles and dispersions, and coin cell fabrication and assembly. The lab, which serves as a recharge center, houses glove-box workstations for handling sensitive materials.